Everything you see and even what you can’t see with these eyes is made up of light. The universe is a sea of light. Everything at the molecular, atomic and sub-atomic levels tells some part of the story of light. All living and non-living things vibrate at different frequencies and it is that vibration which gives them shape, dimension and form. In fact if you look up right now, whatever you can see is a dance of light. 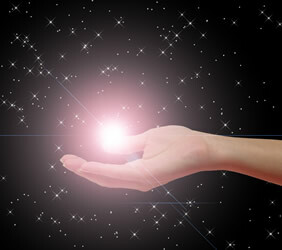 The smallest particle, the atom, is simply a spark of light and everything is made up of atoms. Within the atomic story is yet another story of sub-atomic particles. It is at this level where most of the mysteries can be explained. Quantum physics, radiology and biophysics are the media that have best helped us to understand what is taking place at the sub-atomic level. What has become clear through the study of these scientific disciplines is that at the unseen level there are incredible levels of communication taking place driving all life. In scientific parlance, light is measured in photons and by understanding the frequencies at which organisms resonate, we are better able to comprehend everything, not just within our bodies i.e. the story of health and disease, but also better able to understand our relationship to each other, animals, nature and the universe. As the story of light becomes clear, the darkness of ignorance is dispelled. Then so-called mysteries are easily unveiled. For example, each human cell undergoes, on average, 100,000 chemical reactions per second, a process that repeats itself simultaneously within every cell in the body. How is it that such an inconceivable amount of activity can take place and then be communicated so instantaneously across the body? This breath-taking phenomenon is actually happening every minute of our lives! This is a process described as quantum coherence which is helping us to understand the amazing feats of the human body. When we take a closer look at the sub-atomic level we see that waves of energy (electromagnetic fields) enable communication to take place at this unfathomable rate. Electromagnetic fields are essentially fields of light. These fields of light are sophisticatedly interwoven and linked together enabling them to communicate their findings and share their experiences. It is these fields of light that are responsible for the countless miracles found within nature. If we continue to look at what is happening at the microcosmic level, then understanding the detail contained within the bigger picture becomes easy. 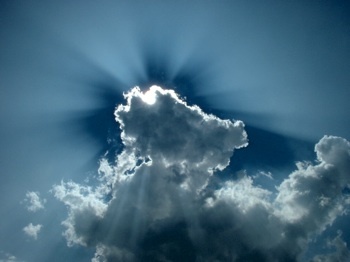 For example, light is exuded from the sun and that light, via photosynthesis, is imbibed by plants. We then consume that cabbage, broccoli or carrot, and digest it. It is metabolised within the body and converted into many different compounds e.g. carbon dioxide, water, vitamins and other minerals, but essentially what we have done is absorbed the light. We have literally absorbed photons contained within the plant. Those photons are then stored and dissipate within the body. The light which a biological organism emits is referred to as biophoton emissions. These light waves either create harmony in the way that they relate to the body’s natural light emissions or they disturb and alter the body’s biorhythms. Research to date leads us to conclude that light emissions emerge from the very DNA itself, so when food, a biological organism, comes into contact with another organism, namely the body, health is achieved when there is harmony between the two light emitting organisms. Unfortunately, due largely to our interference with the planet i.e. pollution, deforrestation and mismanagement of natural resources, we have literally scrambled many of its frequencies. In other words, we have affected the natural oscillation of these light waves and in doing so have distorted the quantum coherence needed for order, balance and health. What can we do? We live in a sea of light, a sea of motion, so even at the temperature of absolute zero molecular activity is detectable. In other words even though as things get colder molecular activity slows down, there is no point at which things stop. There is always movement and movement equals life. We are part of that sea of light. We imbibe photons from our food and environment which then disperse and impact on our entire spectrum of light (our bodies). These photons in turn become the driving force for all the molecules in the body. This activity is taking place at the most subtle level and has been linked to the world’s biorhythms. In other words the daily, weekly, monthly rhythms of the body are in sync with the planet. In fact research has shown that cancer patients as a result of their condition have lost their natural periodic rhythms and are not resonating in harmony with the earth’s biorhythms. So their internal coherence (state of order) has gone. So disease can be described as the point when a biological organism is out of harmony with its environment and internal coherence is lost. Quantum coherence is the point of perfect harmony (at the most subtle level) between all living things. With the use of a photomultiplier (which counts photons) quantum physicians have been able to demonstrate that the number of photons emitted from an organism is linked to the complexity of the organism. In some cases, rudimentary animals and plants emitted ten times more light when compared to humans. Therefore the more evolved and complex the organism the lower the intensity of light and it is at this low intensity that the most amazing quantum activity takes place. In fact it allows the many complicated and diverse activities taking place within the body to be performed simultaneously. The healthiest body would have the lowest light emissions and be closest to a zero state. Therefore the most desirable state for us is one of low light emissions. In other words, our light, our essence, is very slowly being discharged. This means rather than burning like an inferno out of control, we need to burn gently like a candle. The healthiest food is also found to have the lowest and most coherent fields of light which means it does not cause any disruption to the body. Anything that disturbs an organism or system increases photon production, generating more light than is necessary or useful. Therefore, health is a state of perfect subatomic (the most subtle level of interaction) communication and ill health is a state of communication breakdown! The more we understand the story of light the more we are able to make choices that compliment our understanding. If we introduce into our life those things that create peace, balance and harmony then we ensure that our contribution to the sea of light is positive and empowering. The most important input we make to this amazing story is with our thoughts. Our thoughts are the most subtle form of energy and are the catalysts for countless actions and interactions taking place within the body (see PNI 1 & 2). Appreciating the power of your mind in this equation can help you to use your most precious resource (your thoughts) in a more responsible way, adding value, meaning and purpose to your own life and the lives of others. Hopefully as a result of this handout there is a better appreciation of how life ’ticks’ at the unseen level and how all living things are subtly connected, and although we are not in control of these miraculous processes, we do have an important say. Far too often we waste our positive influence over these events. However the hope is that as your understanding becomes more refined you will make better choices and not literally ‘burn yourself out’. Remember it is the calm, gentle flame that best represents optimum life, not the raging inferno. So, slow down, reflect and prioritise. Focus your energies in the areas that are most important and make a positive contribution to the sea of light. What you do really counts.